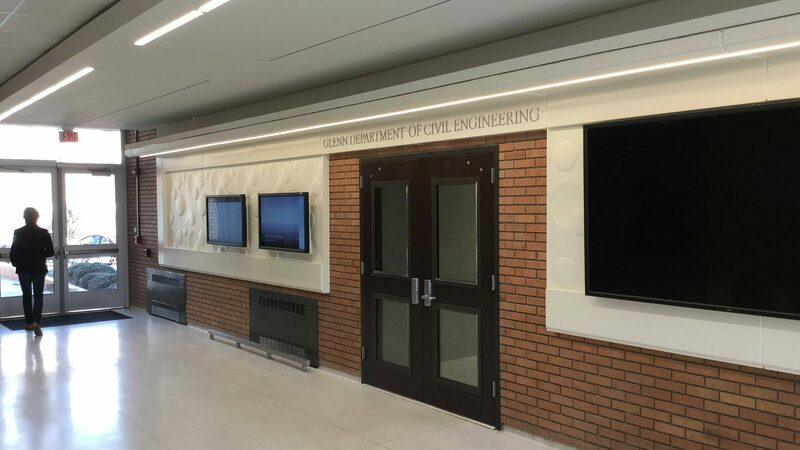 Clemson University wanted to renovate the main level entrance lobbies and corridors of Lowry Hall to reflect the cutting-edge research and study occurring in the newly-endowed Glenn Department of Civil Engineering. The design transforms the 1960s era spaces into a more dynamic, high-tech aesthetic utilizing new finishes, folding wall planes, flat panel monitors, and renewed color accents. 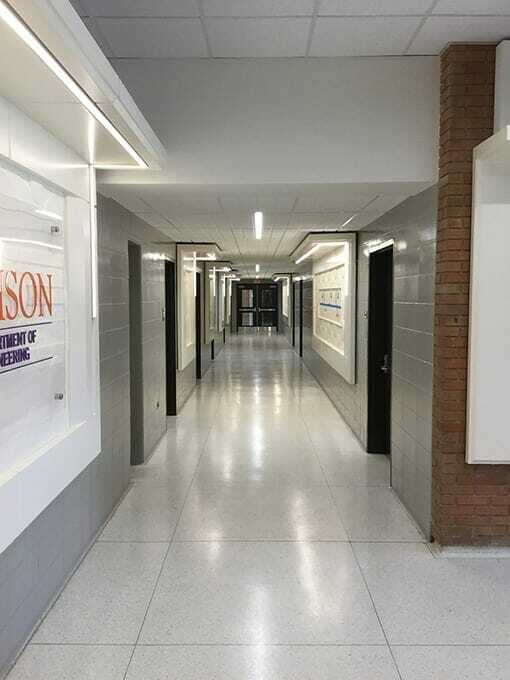 Glass walls have been installed in the renovated office area, as well as the main stair, to provide more daylight and visibility into circulation spaces. This open, modern aesthetic more closely represents the innovation and progressive thinking that are the focus of Clemson’s Civil Engineering program.